Full Lace Hair Wigs is a full lace cap. We can design in any way, parted anywhere. They are made of Indian Remy or Top grades Virgin human hair. Here you can buy Full Lace Hair Wigs it is expensive but they are fine worth the money because they are more versatile & last longer than traditional wigs. Full Lace Hair Wigs, Hairpieces, Hair Toupee, Hair wig for men, Hair wig 100% Human hair in many Sizes are Available No Shedding, No Tangles, No Smell, Highest Quality From Another’s Hair, good density, Naturally straight. We can reform any hairstyles by the expert’s hairdresser, Mono base, fine mono base with thin skin around premier, good density, Breathable base.We Can Dye natural human virgin hair in any color, Curly, Density About the Product 100% Indian Human Hair, not contain synthetic hair or animal hair. It will a good choice for you! It’s an excellent product, almost no shedding. Full lace hair wigs are human hair wigs. It looks so natural. For Full Lace Hair system, you have come to the right place. Our Full Lace Hair replacement systems are natural looking and very breathable, keeping you comfortable no matter the weather. 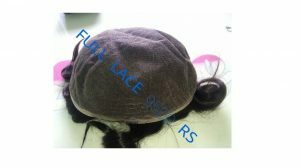 French full lace hair wig is for regular use. French full lace is PU or thin skin hair system. Full Lace Wigs are all accurately Premium Grade human hair lace wigs. With the option of pre plucked hairline, these units give the most natural appearance. Full lace wigs have knitted with 100% Remy and Virgin Hair of the highest quality available in various hair types, styles, textures, colors and curl patterns. This lace wig cap structure allows for versatility of style, free parting, and the facility to style the lace wig in an up-do or a high ponytail It’s natural and comfortable. Full lace hair wigs with baby hair allow a natural hairline and a luxurious finish. We manufacture this hair system to meet the need of each individual.